A paper warrant form is filled out by an officer. The officer is then sworn in by a magistrate and signs the warrant form. Finally, it is approved and signed by the magistrate. These steps were tedious for the staff as it became expensive and time consuming. Hood County’s regular tasks were interfering with business agility. That’s when they called frevvo. By converting manual processes into mobile-enabled, automated workflows with electronic signatures, the County is dramatically improving efficiency. For example, reducing delay is critical in blood alcohol testing. With an automated workflow, legal warrants can be obtained in a timely manner while eliminating errors such as missing data in an affidavit. Hood County looked at 15+ solutions and chose frevvo. To obtain a Blood Warrant, forms are now filled out electronically by the officer. The magistrate remotely swears in the officer, reviews the warrant and signs off electronically or rejects. The officer prints out the exact PDF required by law including all signatures. The blood alcohol testing can proceed legally in a timely manner. We have enjoyed working with Hood County a great deal and are grateful to have created this business relationship with them. Solving business needs through business agility is what we are passionate about. You can be our next success story, sign up today. You can view the official Hood County Case Study here. 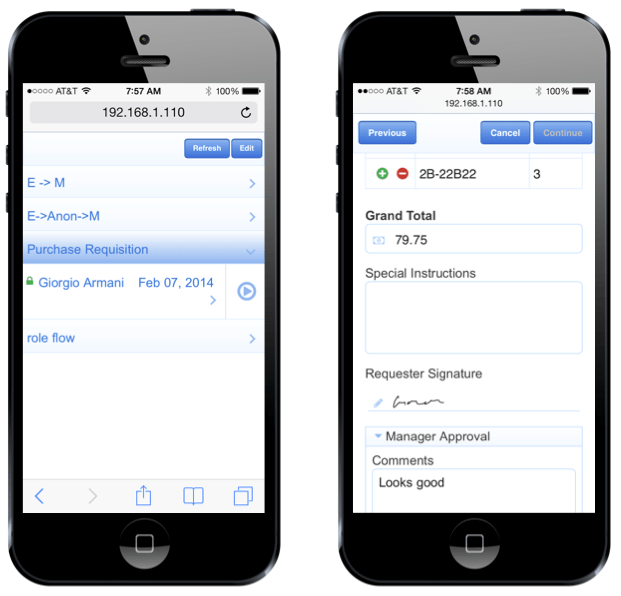 [Webinar] Stop printing for signatures & approvals. 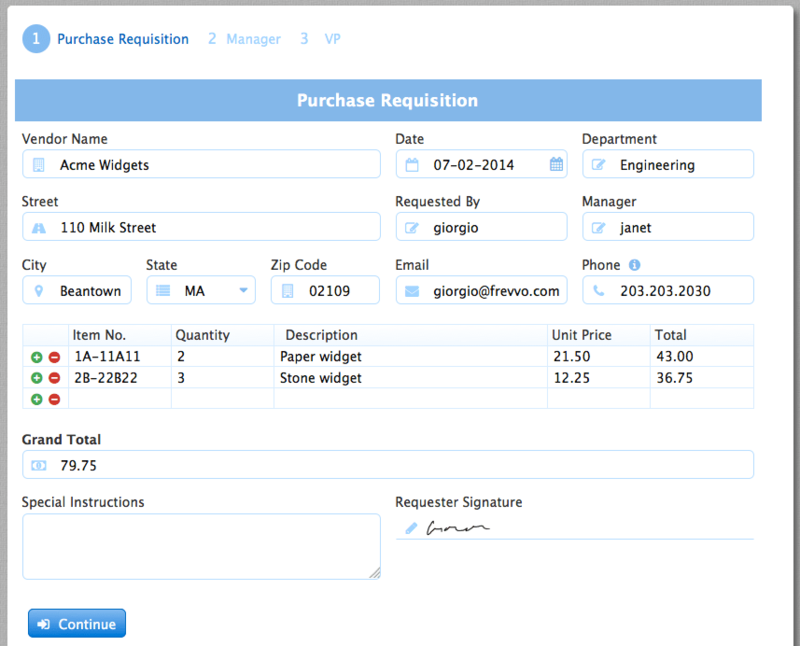 Are your employees still printing forms for routine day-to-day processes and signatures? 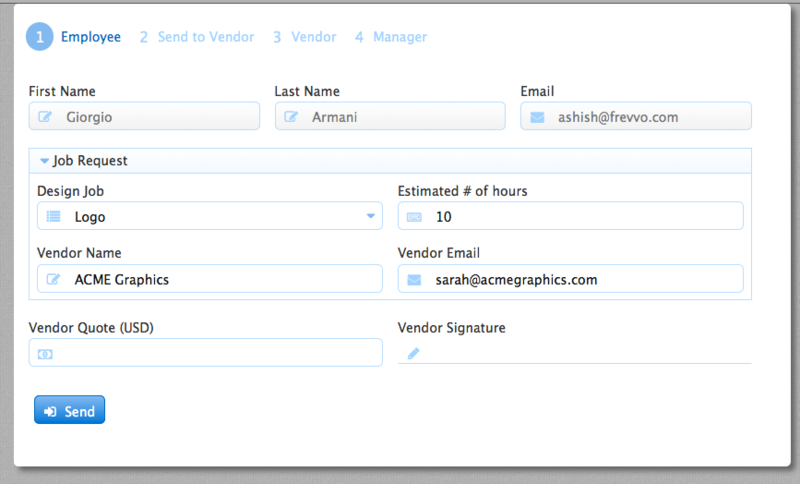 Still searching through emails to find and track approvals? With secure, cloud-based, mobile-ready approval workflows from frevvo, employees can sign & approve in any language from anywhere and on any device. It’s fast, it’s easy and it’s amazingly affordable. How easy it is to use a pre-built template. Drag/drop to customize it for your needs. 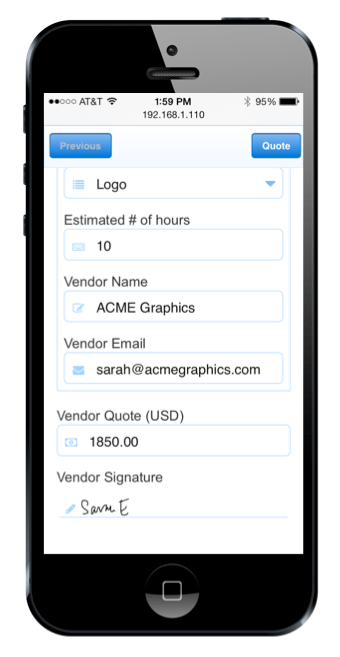 Deploy and use it on mobile devices in the cloud. See how easily you can reduce paper use, streamline your organization and help the environment. 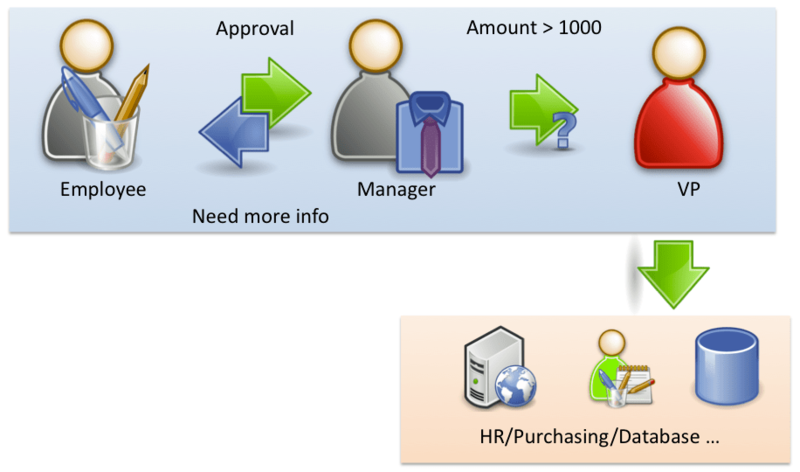 Approval workflows are the lifeblood of your business. Purchase Requisitions, Sales Orders, Leave Approvals, Expense Reports, Employee On-boarding are just some of the routine day-to-day activities that business rely on to function. 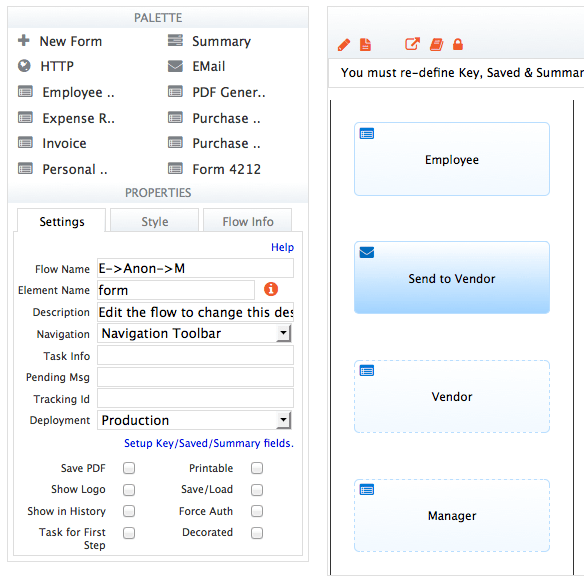 These approval workflows are typically a bunch of forms that are filled out by customers, employees or partners and routed around the organization for comments and signatures. You’re probably doing it every single day. So, why are you still sending PDF or Excel documents around by email? Why search through email to find that pending approval? Why print, sign and scan if a signature is required? 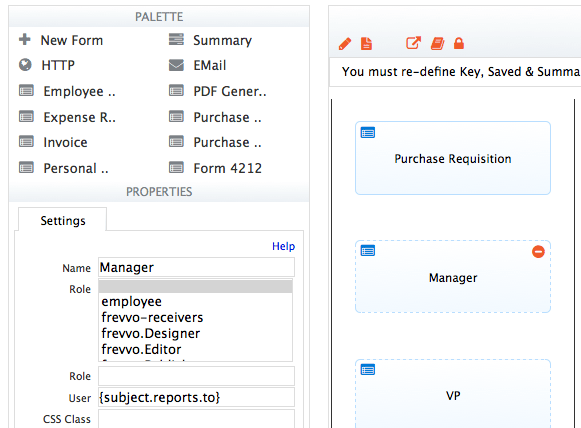 Digitize these approvals in frevvo’s Secure Cloud today. Your employees can stop chasing down approvals by email. I’m sure they all have smart phones. With frevvo, they can sign anytime, anywhere and from any device. It’s fast, it’s easy and it’s amazingly affordable. Download this new eBook and learn how frevvo’s Cloud can help you securely digitize these routine approvals.